Jari, as I described in my previous post, is amazingly beautiful place. We enjoyed our moments there to the fullest. Spending days in the lap of nature is really an amazing experience. Away from the digital life of metro city, this place has captivating serenity which keeps everything in order and organized manner. The mountains tall enough to touch the clouds, the pine trees with long branches, the birds and the cacophony is so soothing that it removes all the stress from your brain. I found Jari wonderful. A less explored and underrated place, Jari has amazing natural beauty to offer you. While we were staying there, I got chance to visit to the apple gardens in Jari. 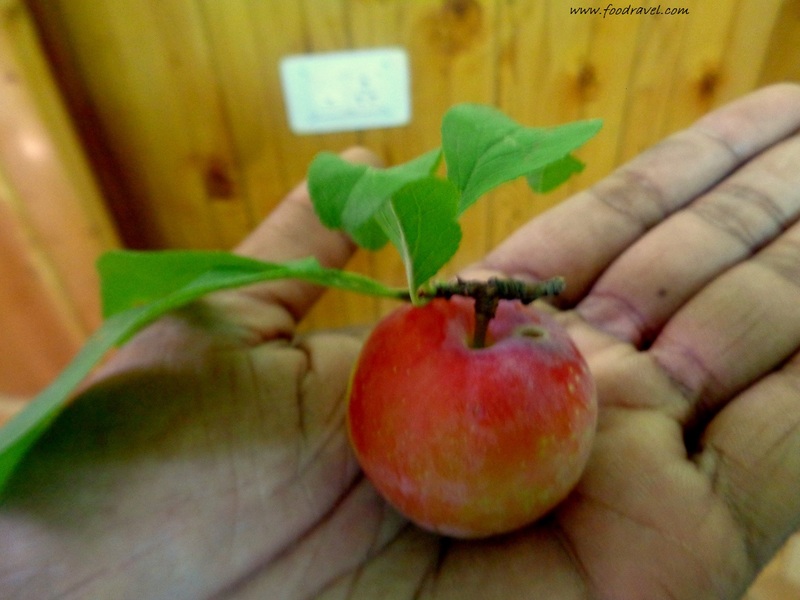 So, the day when I had to return to Delhi, we all decided to visit nearby apple gardens in Jari. The apple gardens were near to our hotel in Jari, on some height. These whole places are built on high altitudes so one has to climb every time. 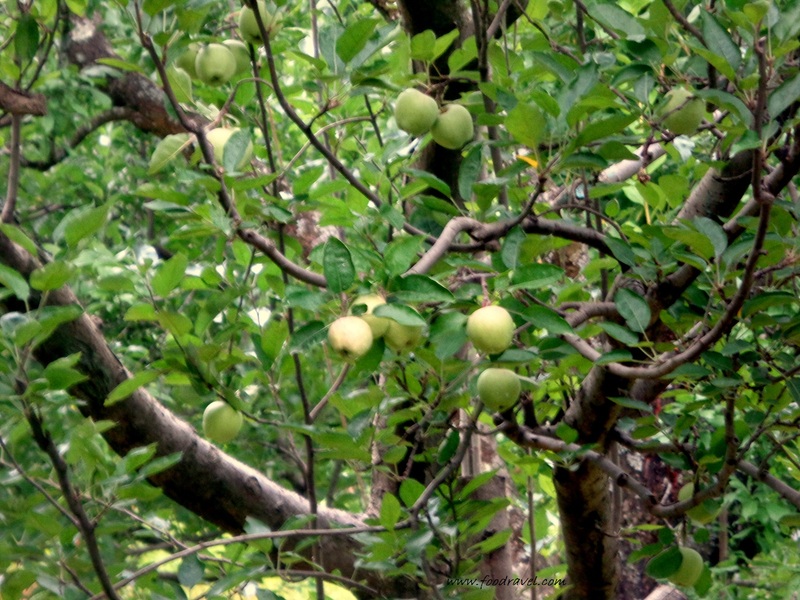 It was Bhawani’s plan to visit the apple gardens in Jari as we had to return that day in evening. So, we thought to visit some local, nearby places. And apple gardens were best to visit around. I have never been to apple garden and it was my first experience. So, we took a narrow street which led us to some place looked like a jungle. But it was all green. I must say bright green, the colour which soothes your eyes. 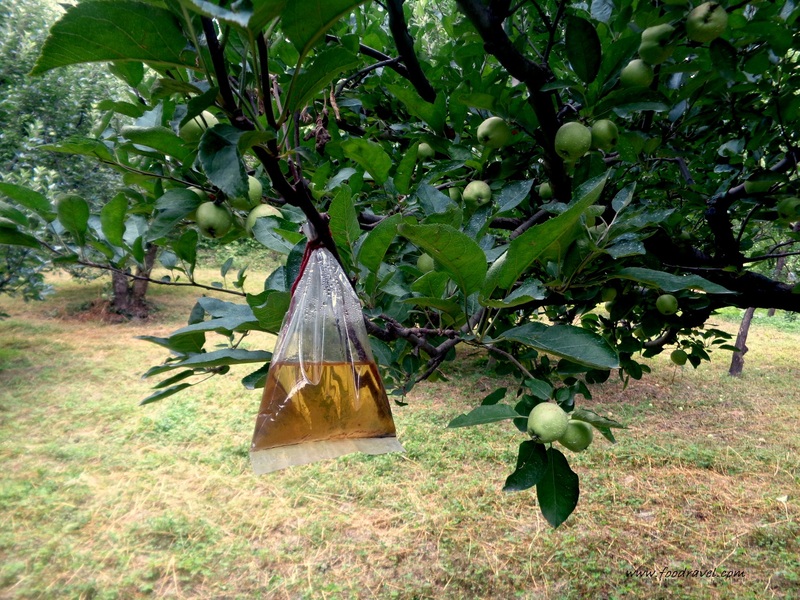 After walking for almost ten minutes, we finally reached to apple gardens in Jari. I looked around. All I could see were mountains, small houses, trees and birds chirruping. This was a place where I would love to spend time alone. This was every artist’s artistic imagination, every poet’s poetic creation. This place was so panoramic that I just kept on looking around. 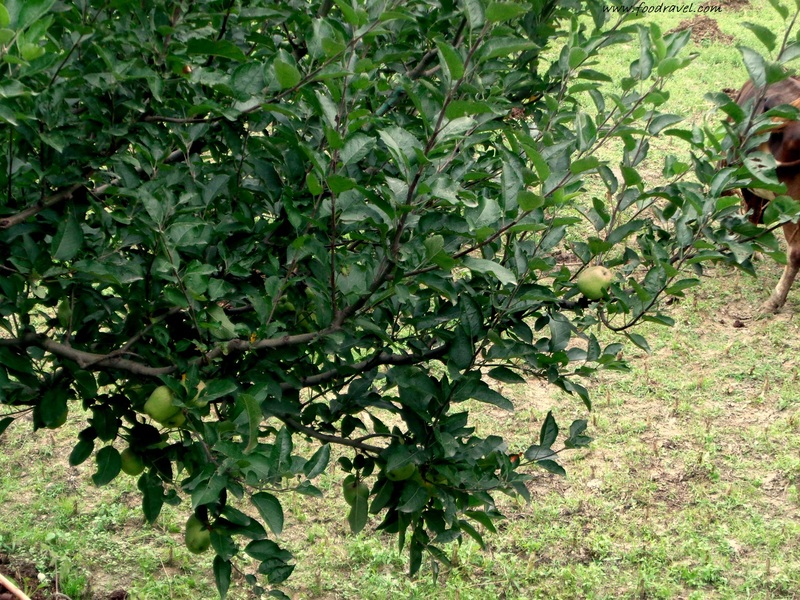 We entered the apple garden and I saw apple trees for the first time in my life. The earth was all green. The surrounding was all green. Even mountains were too almost green. The trees had fruits but they weren’t in the final stages. 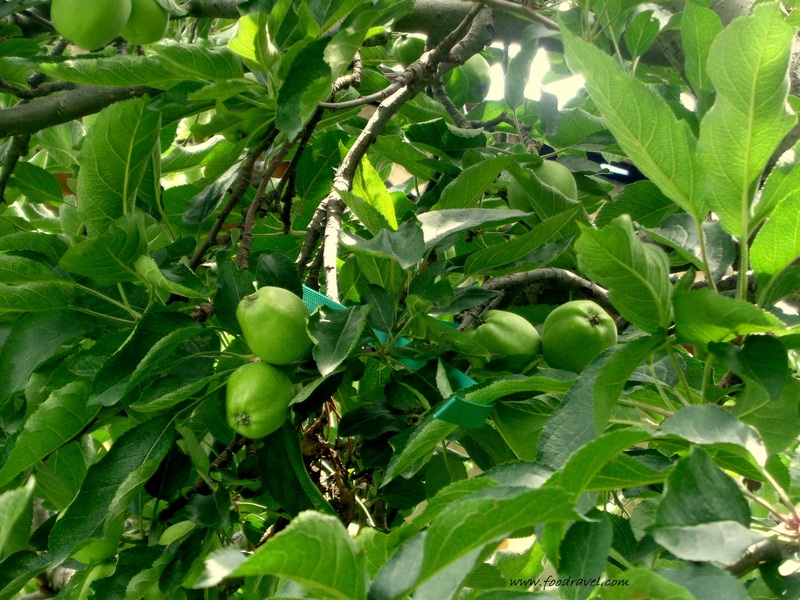 The apple fruits were green and not ripened properly. There were some red apples which had fallen off on the ground. I didn’t pluck even a single one as those fruits were not ripened and lacked in taste. However, others tasted and some fruits were as good as ripened. We found a man there who must be the owner or the care taker. He asked us not to pluck any fruit as they weren’t ripened. After spending some good time there, we came out and moved in the direction of the road. We weren’t aware of the way but we just followed the path randomly. One the way, we found some plum trees. Those plums were all red, some were dark red. We had a hard time plucking them and enjoyed on the way. A lady came and spoke something which I couldn’t understand. Most probably, she was asking us not to pluck the plums. And she gave a pocket full of those red fruits. Do you travel in boots? This place seems like a much desired escape from the very correctly named “digital life of metro cities”. 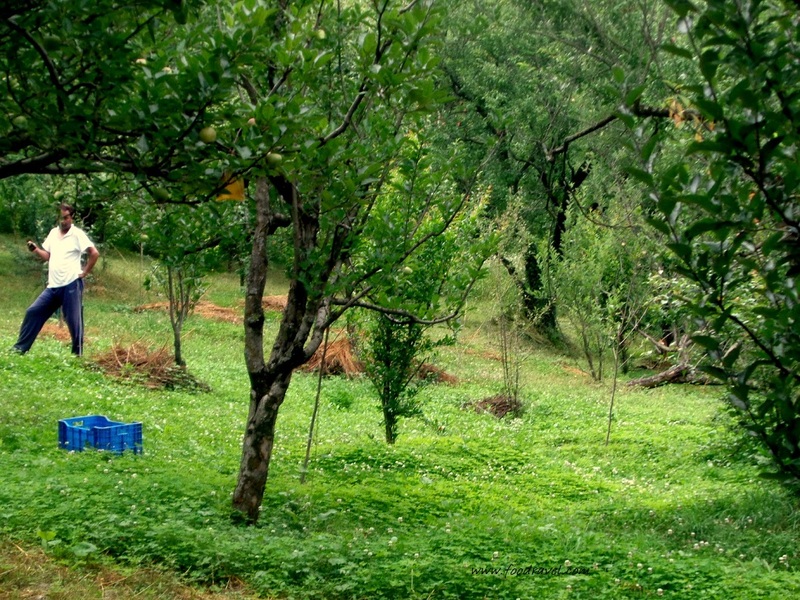 After reading your explanation about these Apple gardens in Jari, it would be wrong if I don’t visit that place. 🙂 Very Well! Yes, I must say it’s therapeutic to visit such places once in a while. Thanks for stopping by and giving time… Do read other posts as well.